The premise was there, the writing was there (for the most part - I'll expand on that in a moment), but for some reason the story never really got there. To start with the premise is misleading. It wasn't a matter of Fraser never annulling their marriage because they spend almost the entire thing trying to figure out if they are actually married or not. It wasn't made 100% clear until the ending, which was discouraging to me as a reader. How do you not only not know if you are married or not, but how do you fall so quickly back into "love" (or bed) with someone whom you felt abandoned you years ago? 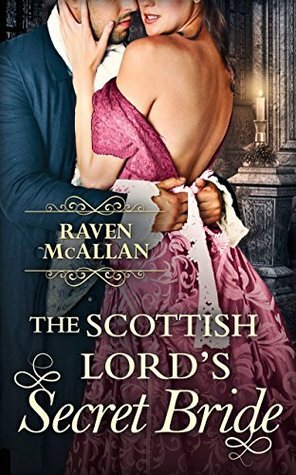 It's kind of funny - the one thing that stood out to me the most while reading this novel (and hopefully something that will be corrected in the finished copy) is the fact that the author constantly referred to Morven as having a "tummy" instead of a "stomach". Her tummy rumbled. There was nothing in her tummy. For a book that overall used more adult language, I was taken aback each and every time that particular word was used. Overall, I would read more from this author as I do think they have a very engaging kind of writing style. And I do think that this story will appeal to readers that can overlook the things I found an issue with. Its not a bad story by any means - its just not for me.